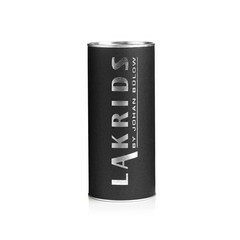 Do you think the little pots of Lakrids are too small? 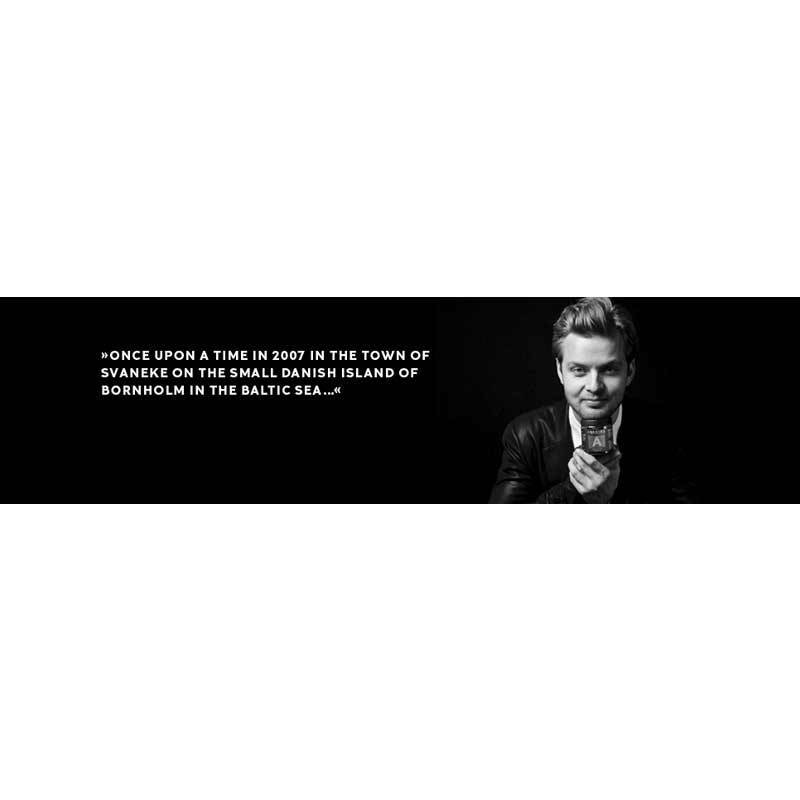 Then try Big D, with 250 grams. 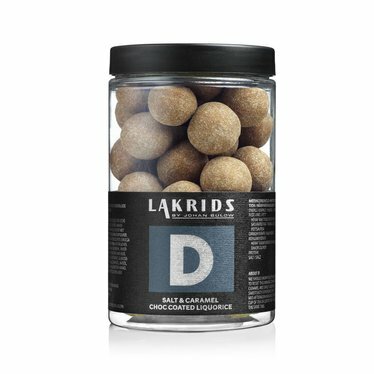 Liquorice 'D' Salt & Caramel Choc Coated from Lakrids is an addictive combination of sweet liquorice and chocolate with salted caramel. 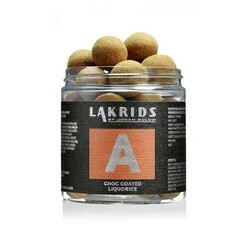 Liquorice D is one of the most popular flavors of Lakrids by Johan Bülow. 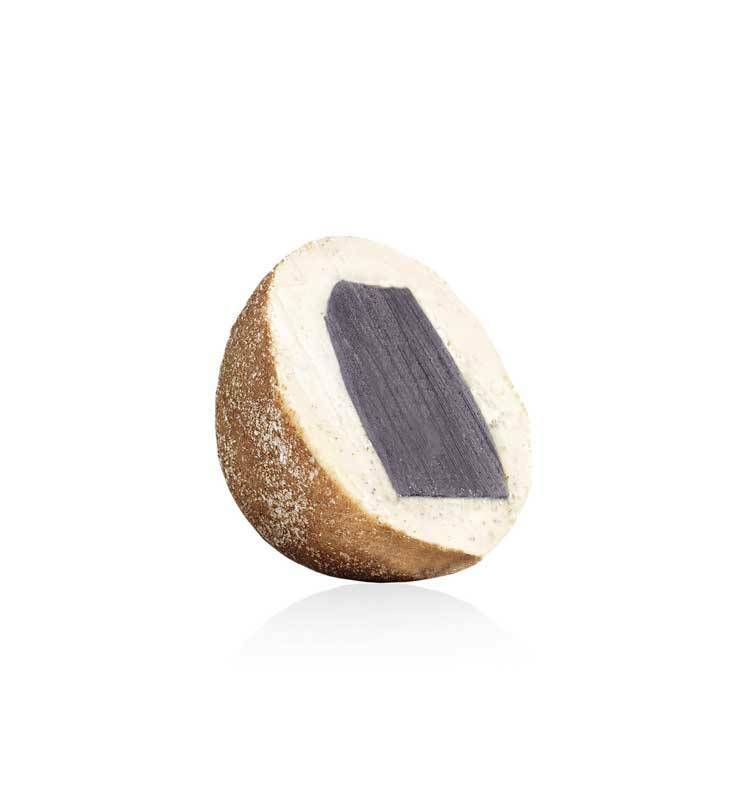 At the core is sweet licorice. 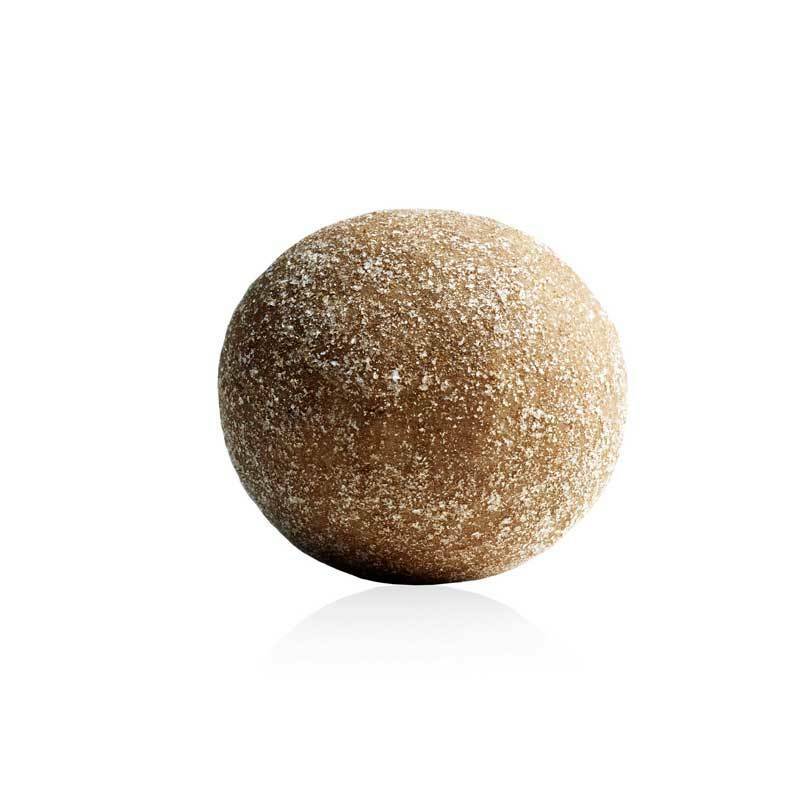 This is covered with milk chocolate and droppoeder with a hint of salt sea salt. Ideal for the end-afternoon-draw-in-something-goodies! 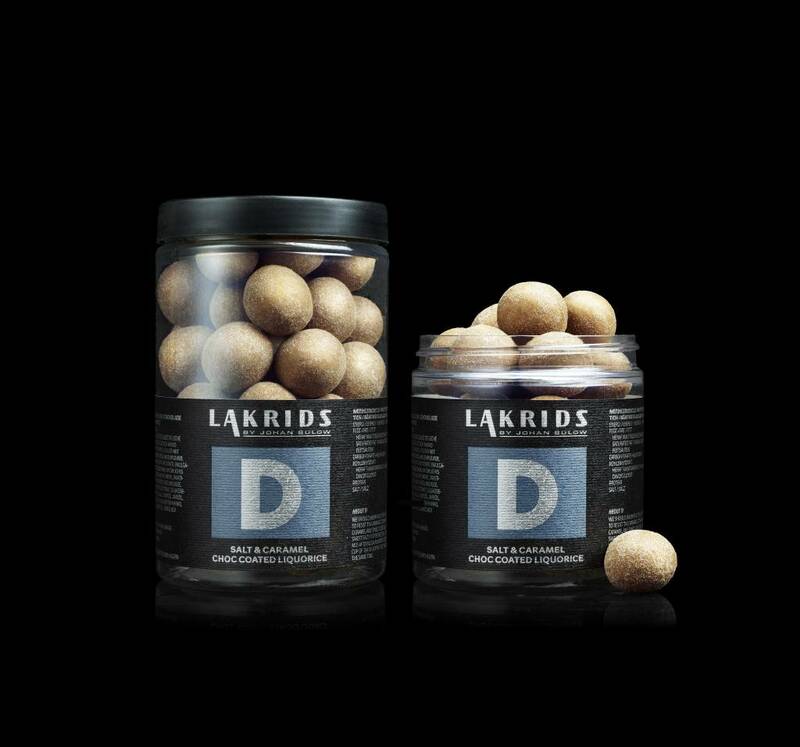 Big D has a capacity of 250 grams, so you can reach the bottom of the pot less quickly. 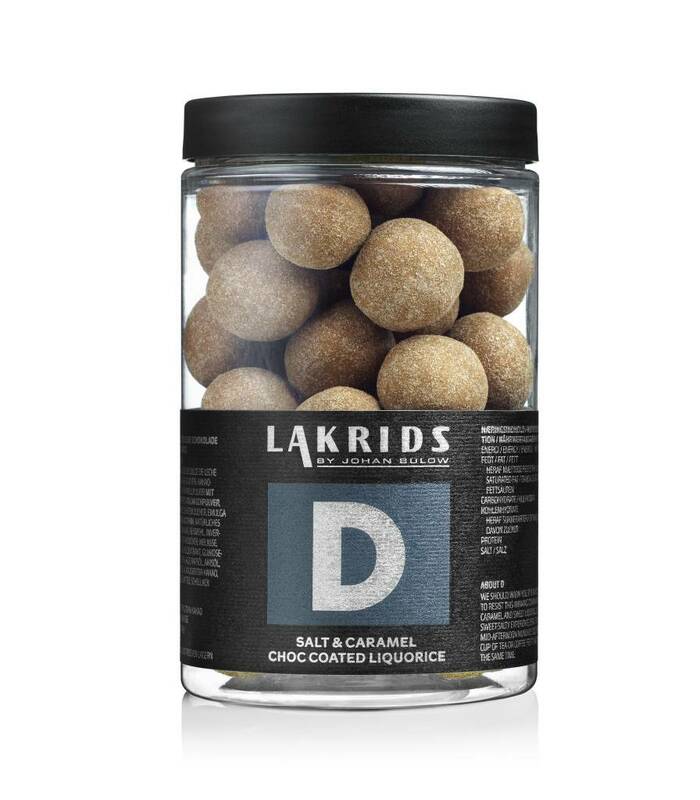 Big D is also relatively cheaper than the small jars of 150 grams. 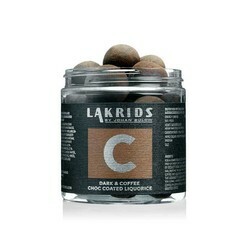 Lakrids uses only the best ingredients and makes the liquorice in their own factory near Copenhagen. 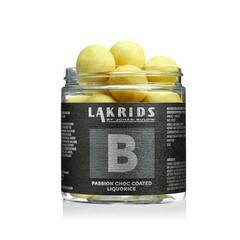 Drop from Lakrids by Johan Bülow is gluten-free. 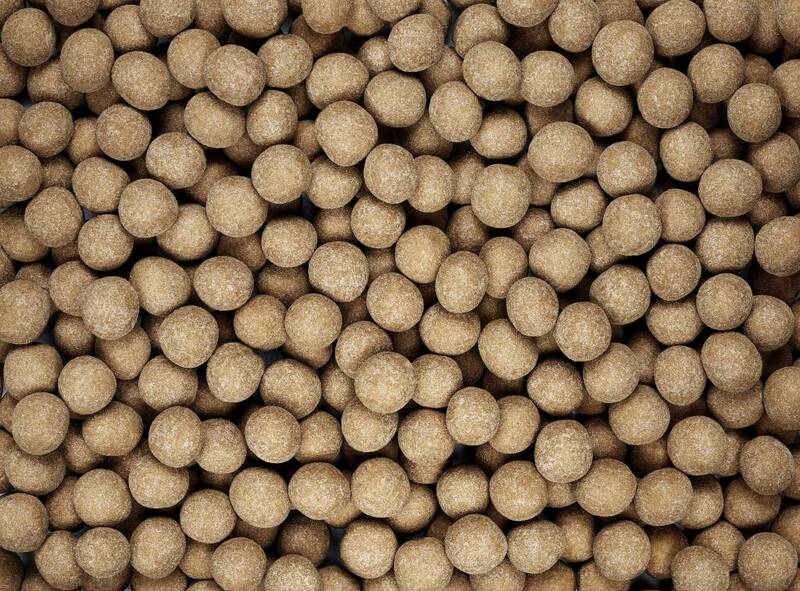 fat emulsifier: sunflower lecithin, natural vanilla flavor), rice flour, invert sugar, cane sugar, treacle, 2.3% raw liquorice, glucose syrup, 1.4% salt, rapeseed oil, anise oil.